The dog days of summer are here, and with temperatures on the rise, it may seem impossible to keep cool- physically and mentally. Don’t let the high temperatures get you down, though! 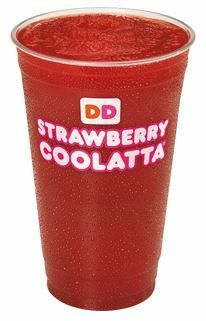 These five icy beverages from Dunkin’ are just what you need to cool off when you feel like the sun is out to get you. 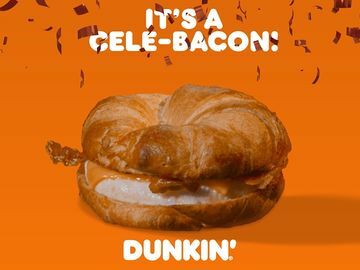 This summer, Dunkin’ announced that Cold Brew coffee is now available at participating Dunkin’ Donuts restaurants nationwide. 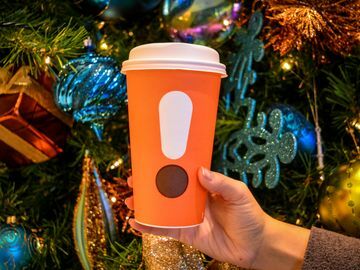 The ultra-smooth, full-bodied Cold Brew coffee is prepared by steeping a special blend of coffee in cold water over an extended period of time to extract a uniquely distinctive flavor from the beans. 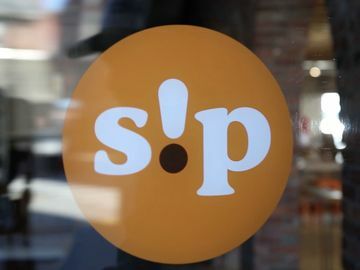 The rich, flavorful, easy-to-drink coffee is slow brewed to reach its purest form. Because of its naturally sweet flavor profile, Cold Brew is commonly enjoyed black, but can be customized based on your personal preference. 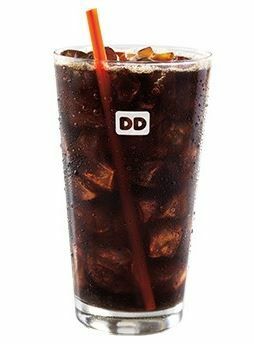 If it’s a scorcher today, hurry into your nearest Dunkin’- our Cold Brew is crafted daily by hand in small batches and is available while supplies last each day! Craving the taste of decadent hot chocolate, but without the “hot”? 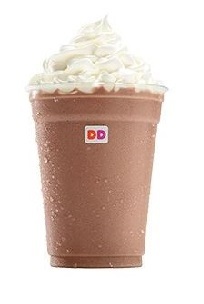 Dunkin’s Hot Chocolate is also served frozen, making it easy to enjoy the classic winter favorite in a cool, refreshing way. Try our Hot Chocolate, Frozen in Original, Mint, or Dunkaccino® varieties and find your favorite! 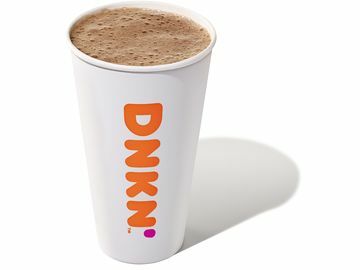 It may be the hottest month of the year, but Hot Chocolate is always in season at Dunkin’ Donuts. 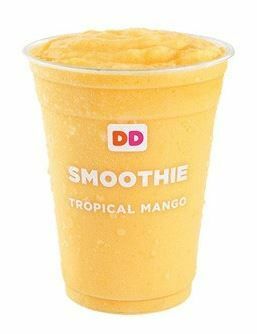 Made with real fruit and creamy low fat yogurt, Dunkin’s freshly prepared Fruit Smoothies are available in two varieties, Strawberry Banana and Tropical Mango. At 260 calories or less for a 16 oz. serving, our refreshing Fruit Smoothie is a delicious beverage you can feel good about drinking. 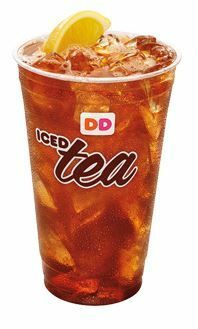 Dunkin’ Donuts’ freshly-brewed Iced Black and Green Teas are made-to-order, unsweetened or sweetened, and available in a variety of fun flavors including Blueberry, Raspberry, and Peach. 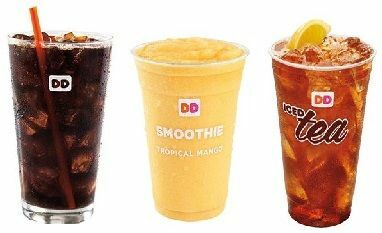 Dunkin’s Iced Tea is a flavorful burst of refreshment, making it the perfect thirst-quencher on a hot, summer day. Treat yourself to an ice-cold cup of summer with a refreshing Frozen Coolatta® beverage, available in a variety of sweet flavors including Strawberry, Vanilla Bean, and Minute Maid® Orange. If you’re in need of a little pick-me-up, you can also cool off with a Frozen Coffee Coolatta®, available in Original, Mocha, and Caramel flavors. 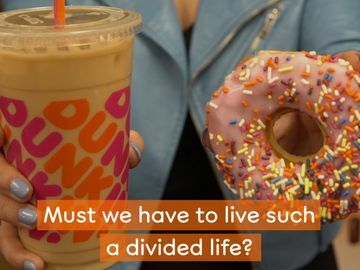 View a full list of Dunkin’s refreshing beverages to keep you cool this summer here, and make sure to share your favorites with us on Facebook, Twitter, or Instagram!